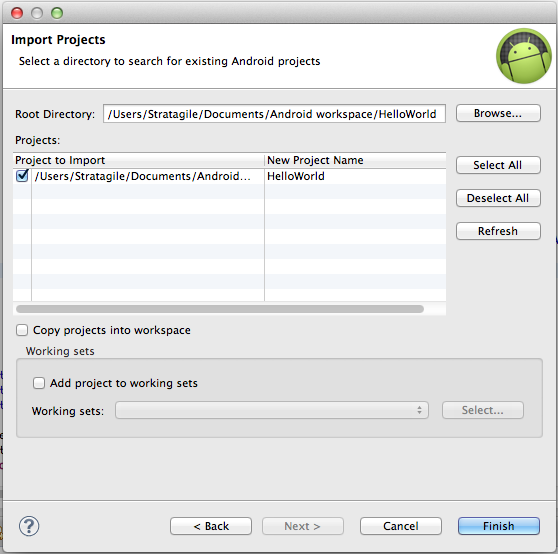 * Right click your Application Project and then Select Android Tools-> Export Signed Application Package. * Then It will Show Export Signed Application Package Dialog and In this Dialog it will Show the Application Name. Then Press Next. * Then It will ask for keystore. Browse the Keystore and enter the password of keystore then press Next. * Then it will show the key alias in the keystore. 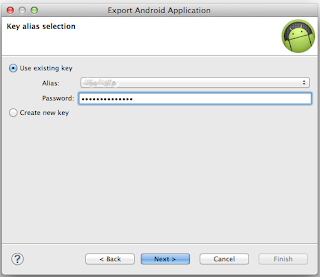 Select the key alias and enter the password then press Next. 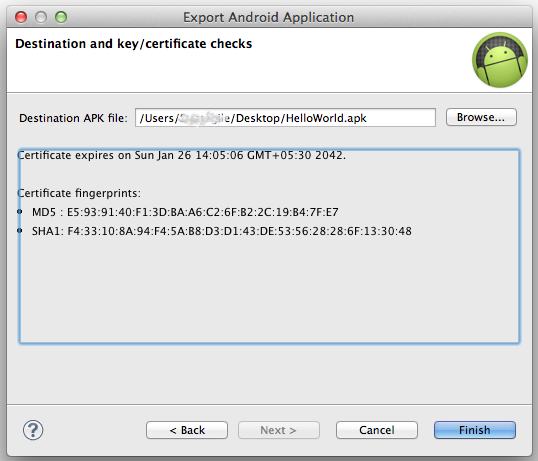 * Browse the Destination of .apk file to Save. 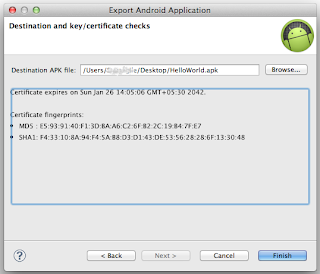 It will show the Certificate expire date and MD5 and SHA1 values of the signed keytool. Press Finish. 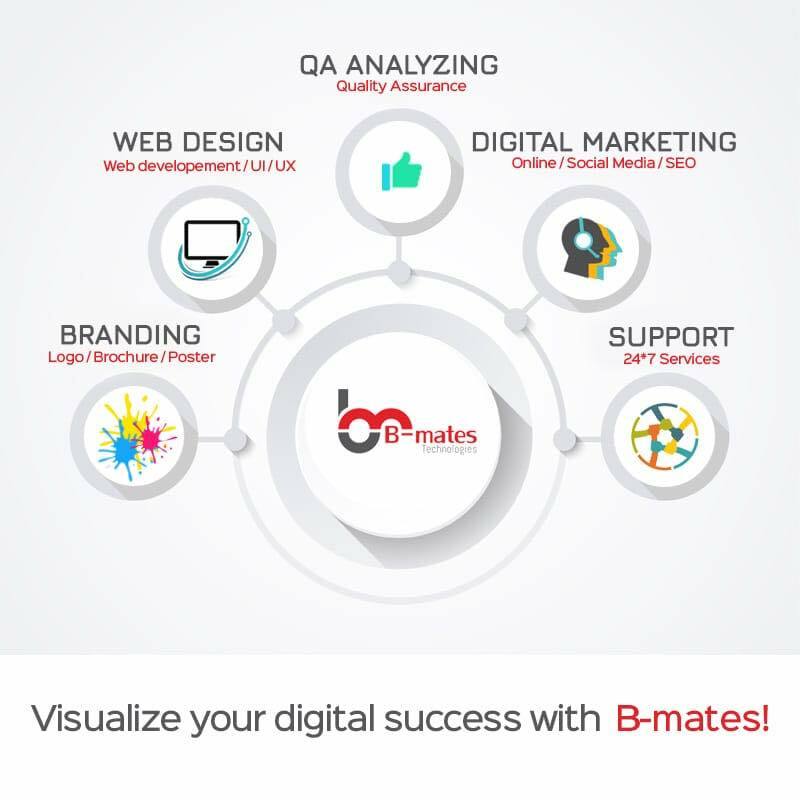 * Browse the project location. 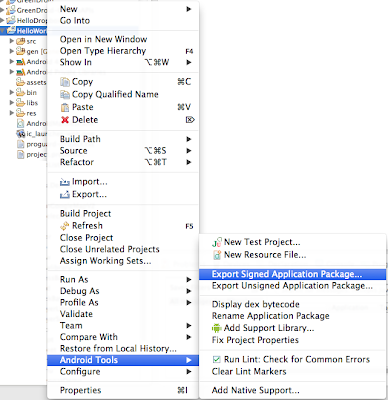 After when we browse the location it will display the project name on the same window and then press Finish. If you want to copy the project into your workspace the check on "Copy projects to workspace". * Then Press Finish. 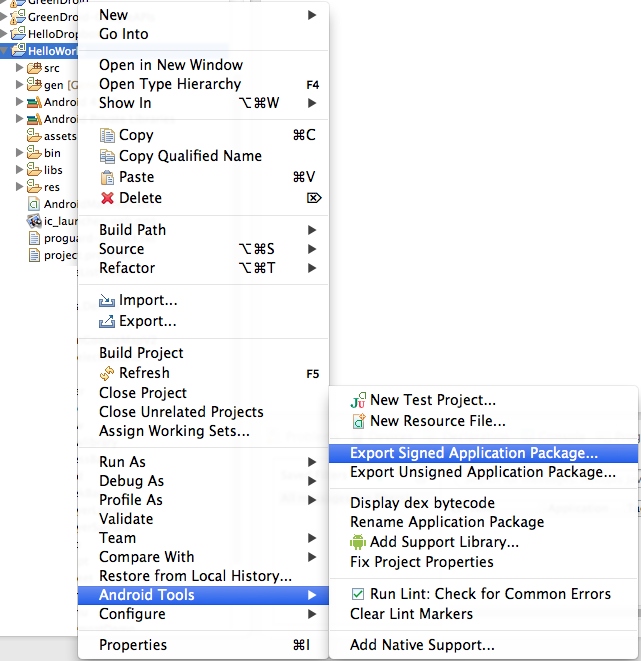 Then we can see the project in Eclipse’s Package Explorer.